ANN is reporting that the popularity of the Blue Exorcist manga in Japan has exploded after the release of the anime. Before the anime premiered, volume 5 got a 140,000 copy printing. When a 260,000 copy printing of volume 6 was released, bookstores complained they did not have enough stock to meet customer demand. All volumes of the manga are now being brought up to speed and volume 7 will get an amazing 1 million copy first printing. This event marks the first time a title from Jump Square has ever been given a 1 million copy printing. 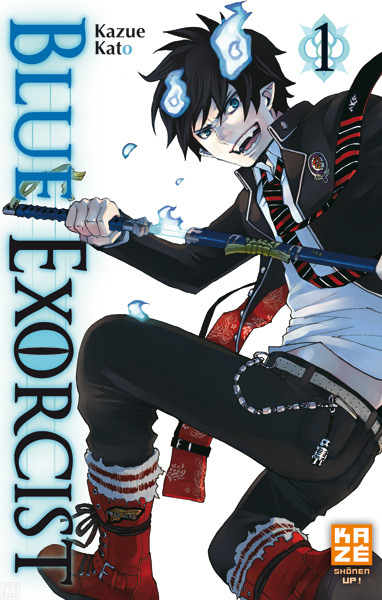 Blue Exorcist follows Rin Okumura, a son of Satan raised by a priest who becomes a magic sword wielding exorcist. Oh, yeah! The English translation of the manga is available from Viz Manga. Digital copies cost a mere $5 each and the first chapter is available for free. Paper copies can be had from on Amazon at $10 each. You can check out the subtitled simulcast of the anime for free streaming on Crunchyroll.com or Hulu. First Actual Picture Of An Alien Planet - Ever! Play Xbox 360 on October 1st for Charity!